Australian Open - live stream, odds, results, stats and fixtures! Australian Open is played in Melbourne, Australia, over the last fortnight of January every year. The tournament features singles for both men and women, women’s and mixed doubles, junior’s championship as well as wheelchair events and more. Australian Open is one of the four yearly Grand Slam tournaments along with French Open, Wimbledon and the US Open. It is the first Grand Slam tournament to be played each year, and the 2019 tournament will be played on January 14th-27th. Defending champions of the singles events in the 2019 tournament will be Roger Federer and Caroline Wozniacki. Roger Federer defended his title from 2017, and won his 6th Australian Open title as well as his historic 20th Grand Slam title. Here at Odds Expert, we provide you with everything you need to know about your favorite tournaments. This includes schedule, odds and results from the Australian Open. 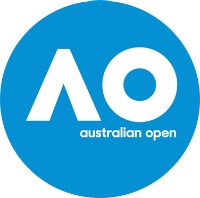 The 2019 Australian Open is scheduled to take place from January 14th to 24th. Betting sites online, such as Unibet and Bet365, usually live stream events such as Australian Open. Live streams really adds extra excitement to events or matches that you have placed bets on, so if you have the opportunity – we strongly recommend that you follow the Australian Open online! Different betting sites have different rules when it comes to what you need to do in order to take part of the live streams. On some sites you simply just have to have an account, on some you might need to have a positive bank balance, and sometimes you need to have placed a bet on an event in order to watch it. The prize money that are awarded in the single’s tournaments are shared equally. Australian Open is the tennis tournament with the highest prize money, with a total prize pool of AUD 55,000,000. The champion of the women’s tournament is presented with the Daphne Akhurst memorial cup, and the winner in the men’s tournament with the Norman Brookes Challenge Cup. The name of the winners are also inscribed on the trophy cups.